This Girl Stopped a Child Marriage in India. Now She Fears for Her Life. 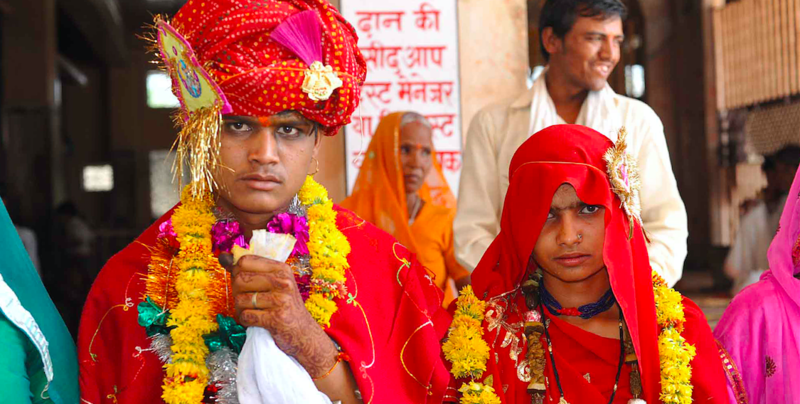 Raja,16, and 15-year-old child bride in the western Indian state of Rajasthan, Saturday, May 7, 2011. Despite laws prohibiting marriage for women under 18 and men under 21, child marriages like this are still common throughout India. Beauty Khatan was attending a wedding not long ago in Malda, India, when she noticed something askew — the bride was a child. The legal age for marriage in India is technically 18 for women and 21 for men, but it’s estimated that nearly half of all women in the country get married before 18 and 18% get married before 15. So while what Khatan, who is just 13 herself, was witnessing was illegal — not to mention cruel and unfair to the young bride — she knew that there was entrenched community support for the practice. Nevertheless, Khatan knew she had to do something. She reported the marriage to local administrators and they intervened to put an end to the proceeding, according to a report in the Times of India. But when Khatan protested, she was beaten by elders who were fine with the wedding. After she was hospitalized, she told the police what happened and they arrested those responsible. Khatan’s bravery impressed the government and they made her the face of the local anti-child marriage campaign. And that’s when her life became much more difficult. When she got out of the hospital, she faced a gauntlet of harassment from both the families and at school she was berated and attacked by her peers. The school administration stepped in and defended her, and then the chief minister of West Bengal, a district in western India, Mamata Banerjee, publicly celebrated Khatan’s bravery. "It is a shame for us that Beauty came to me crying, seeking protection, when we hold her as a model against child marriage,” local Child Welfare Committee chairperson Chaitali Ghosh told the Times of India. ”We shall never tolerate this and will visit her house. I'm also asking the police to take strict action against the accused." But the harassment continued. Walking to school, in class, walking home — it became constant and few locals stepped up to protect her. Eventually, she stopped going to school, fearing for her life. The people who were conducting the child marriage have been released on bail after being arrested and they’re now threatening her. These days, Khatan can be found in her bedroom reading books about Malala Yousafzai, trying to get inspiration from the Nobel prize winner who persevered after getting shot in the head by the Taliban on her school bus. 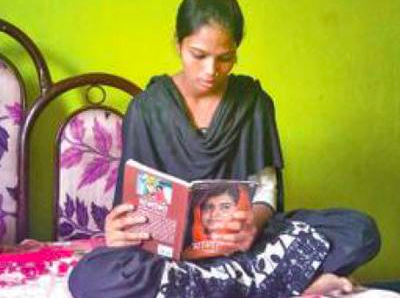 "I never imagined my daughter will have to pay such a price for doing noble work,” her mother Jhasi Begum told the Times of India. But in a country where child marriage is so rampant, this response could have been predicted. And that’s what makes Khatan’s actions so impressive. The persistence of child marriage, and, more broadly, the tight control families hold over marriage arrangements in India, makes interference by advocates or the government tense affairs. That a 13-year old girl put her reputation on the line is a sign that the emerging generation is ready to break the oppressive stranglehold of “patriarchy, class and caste” that leads to such high rates of child marriage. And these youth advocates are looking beyond their borders for inspiration.